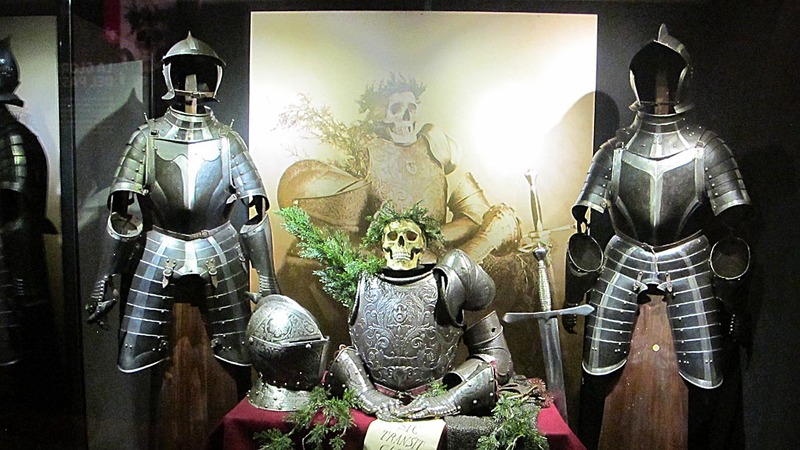 Until September 6th the Stibbert Museum in Florence is hosting an exhibition in honour of its founder, Frederick Stibbert. “The Dream and the Glory”, in fact, represents the extraordinary feat of this man who succeeded in collecting over 36,000 artefacts, including a vast collection of armours belonging to Eastern and Western civilizations. Son of an English man and a Tuscan woman, Frederick Stibbert received his education in England and an extreme wealth at the death of his grandfather, Giles Stibbert. Thanks to this he dedicated his life to collecting objects, antiques and artefacts and turned his Florentine villa into a museum. When the collection outsized the villa he hired an architect to add on rooms. Today 57 crowded rooms exhibit his collections from all around the world, with most of the walls covered in tapestries and paintings. Each room intentionally recalls a specific historical period and cultural ambience. 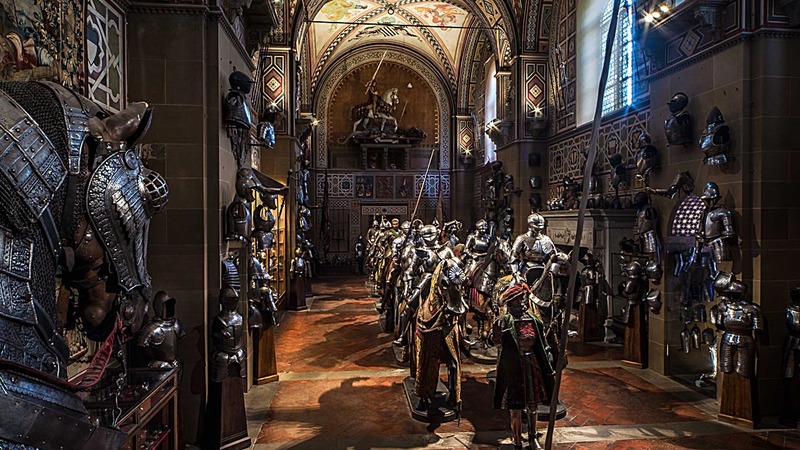 Over 16,000 pieces of arms and armours from the 15th century to the 19th century make up the most extensive collection of the museum. Coming from all over the world this collection counts over 80 Samurai armours and hundreds of swords while the Cavalcade Room boasts fourteen 16th-century knights on horseback and fourteen foot soldiers. Among its illustrious visitors are Queen Victoria, who visited the villa in 1890, as well as Oscar Wilde and Italian writer Gabriele D’Annunzio. 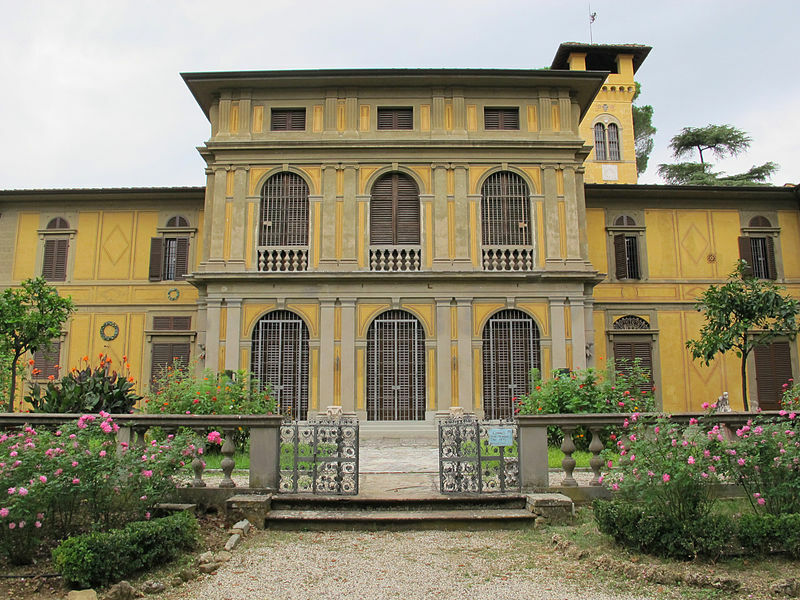 At Frederick Stibbert’s death in 1906 the villa and its collection was given to the city of Florence. Opened on March 27th, the exhibit “The Dream and the Glory” is a showcase of some of the masterpieces collected by Stibbert with the intention of not only highlighting their beauty and peculiarity but also introduce the visitor to the 19th-century cultural atmosphere during which this eclectic collector’s vision was formed. So not only arms and armours on show but also objects, paintings, sketches and photographs that testify to the taste of the romantic revival of medieval life and document Stibbert’s deep interest in the history of civil and military costume. Open on Mondays, Tuesdays and Wednesdays from 10 am to 2 pm, on Fridays, Saturdays and Sundays from 10 am to 6 pm. Full price ticket costs 8 Euros. Questa voce è stata pubblicata in Events in Florence, Exhibitions and accommodations in Tuscany, Florence, Tuscany e contrassegnata con Florence, Frederick Stibbert, Museo Stibbert, Stibbert Museum, The Dream and the Glory. Contrassegna il permalink.